During this time of year, we crave dinners that are hearty, rustic, and soul-warming. 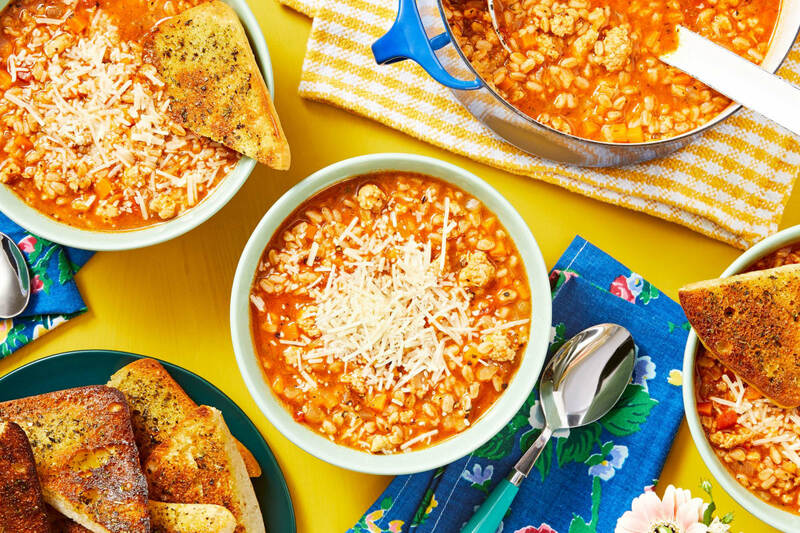 This soup checks all of those boxes. 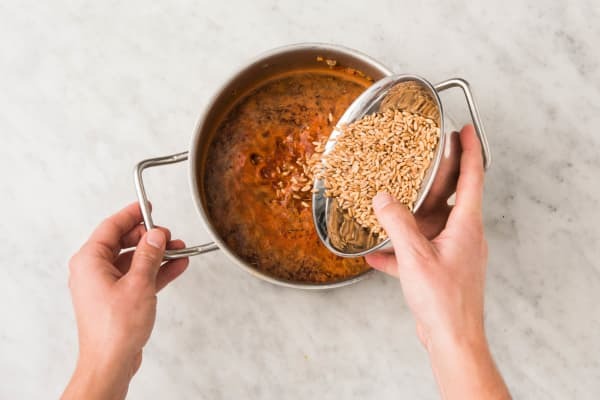 It has a tomatoey broth as its base that gets filled up with Italian chicken sausage, bites of carrot, aromatic herbs, and farro (that’s an ancient grain with a wholesome, nutty flavor). 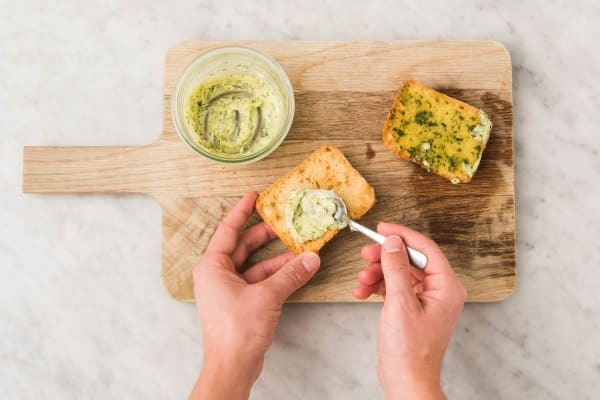 And because no soup is complete without some bread for dunking, we’re also throwing in some ciabatta toasts spread with herb butter. Wash and dry all produce. Peel carrots, then finely chop. Halve, peel, and finely chop onion. Core and finely chop tomatoes. 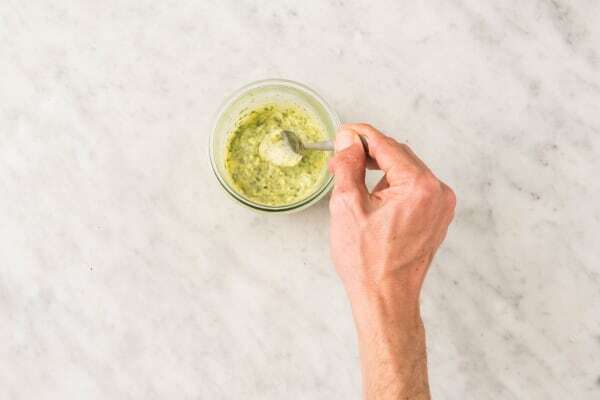 Place 3 TBSP butter in a small microwave-safe bowl. Microwave until just soft, about 10 seconds (do not melt). 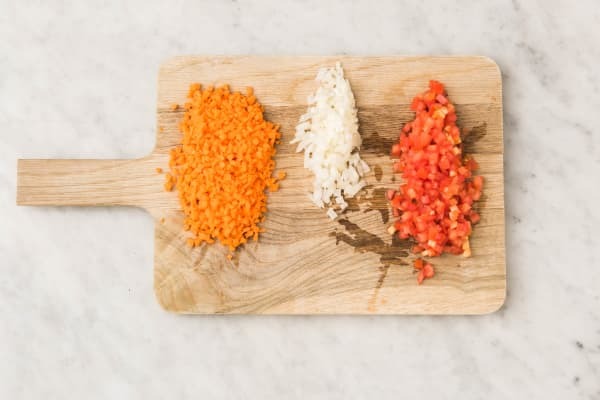 Stir in ¼ tsp Italian seasoning (save more for step 4). Season with salt and pepper. Heat a large drizzle of olive oil in a large pot over medium-high heat. Add sausage, breaking it up. Cook until lightly browned, about 5 minutes. 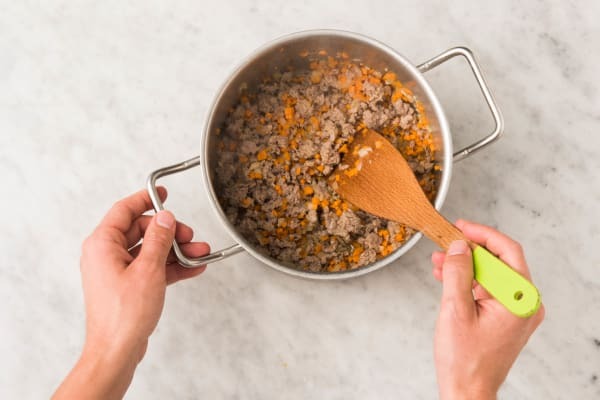 Add another large drizzle of olive oil, then toss in carrots, onion, and a big pinch of salt. Cook, stirring occasionally, until just softened, about 5 minutes. Stir remaining Italian seasoning into pot. Cook until fragrant, about 30 seconds. Stir in tomatoes and tomato paste. Cook, stirring, until well combined, about 1 minute. Stir in farro, stock concentrates, a few big pinches of salt, and 5½ cups warm water. Cover and bring to a boil, then reduce heat to medium low. Simmer 10 minutes, then uncover pot and simmer until farro is tender, about 5 minutes more. Meanwhile, split ciabattas in half (as if you were making sandwiches). Toast in toaster or toaster oven until golden. Spread with herb butter, then halve toasts diagonally. 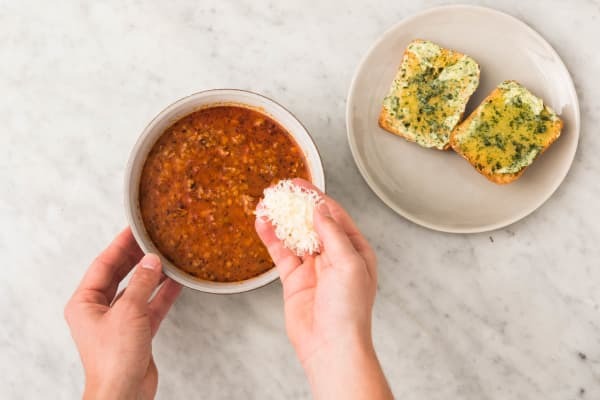 Stir half the Parmesan into soup. Season soup with salt and pepper to taste. Divide between bowls, then garnish with remaining Parmesan. Serve with toasts on the side.